Meet my new best friend: 36 hour bone broth. Ready or not; here comes influenza. According to the Center for Disease Control, influenza is–despite our tropical temps–making its way west. After the traumatic months of ill health my family endured last winter, I am determined to everything in my power to shield us from the effects of all the nasty bugs that surround us in 2014. Will we still get sick? Yeah, prolly. But hopefully not as sick and not for as long. Perfection is not my goal. Improvement. THAT’S what I’m shooting for! So, several life circumstances over the past year have prompted me to take a look at more ancient, homeopathic prevention/cure methods of avoiding or at least mellowing the effects of the creepy crawlies. 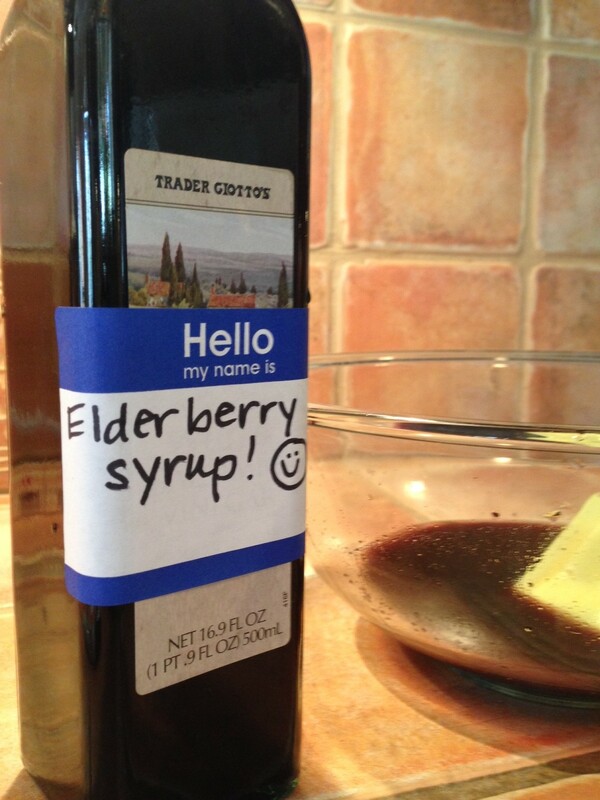 Besides my brothy friend, I’m making a big batch of elder berry syrup this weekend. Friends have requested–lemme know before I buy honey on Saturday if you’d like more too–and, like I said, I’m revving up, baby! The final arrow in my quiver-arsenal: saying “no.” Yes. I mean no. I mean I’m saying no this season. I pride myself on my commitment to follow through on my commitments. You can count on me! Yesiree! And while I don’t want to ruin my illustrious reputation, I have decided, this season, to not let obligations dictate my actions over the health of my family–including my health. Last year I contracted pneumonia. PNEUMONIA because I stubbornly refused to let a little (big) illness get in the way of my life. Like a ridiculous Nyquil commercial, I wasn’t going to let the flu stop me in my tracks! This season, if illness breaks through my bone-broth-healthy-eating-exercising-elder-berry defenses I will not be a silly ding dong and just keep trudging along. I will say “no” if I have to and feel OK about it. In fact, I might even feel pretty great. The Calva-Despards got pummeled at the end of last year’s season of sickness and although there are no guarantees with any preventions, remedies or prayers, one can still try one’s best. So, we got flu shots for the first time in years, I’m still praying and I’m taking some time to look at homeopathic preventative and treatment measures to what is sure to ail at least one of us one of these days. Enter: Elderberry Syrup. My girlfriend, Lisa, checks in with this really cool blog called Real Food RN. Kate is an RN and mother who, in her search for methods of maintaining health and healing, has begun a wise and wonderful journey into the past. She looks into what she terms “granola mama” methods of creating everything from cold and flu remedies to homemade deodorant. Kate is an RN and works in a traditional hospital, she despises chemicals of every kind. I like Kate. OK, I don’t really know her except from her super cool blog and pretty photos. But I like the approach of someone who looks at the big picture, studies multiple sides of things, and then draws logical, reasonable conclusions. There are other women who taut similar messages to Kate’s. However, when someone doesn’t brush her hair, criticizes omnivore practices and people who don’t nurse their kiddos till they are in kindergarten it’s just a teensy bit harder for me to jump on board. Kate is smart and balanced. Plus she clearly brushes her hair so I will go with Kate for now. Ingredients: 2/3 cup black elderberries (or 1/3 cup dried berries reconstituted–I could only find dried ones, btw), 3 1/2 cups water, 2 tbsp. fresh or dried ginger shredded or sliced (no need to peel), 1 tsp. cinnamon powder, 1/2 tsp. cloves or clove powder and 1 cup raw honey. Directions: Soak 1/3 cup dried elderberries in 3 1/2 cups water over night. Then put berries and liquid + everything except the honey into a pot. Bring to a boil and then simmer for 45 mins. 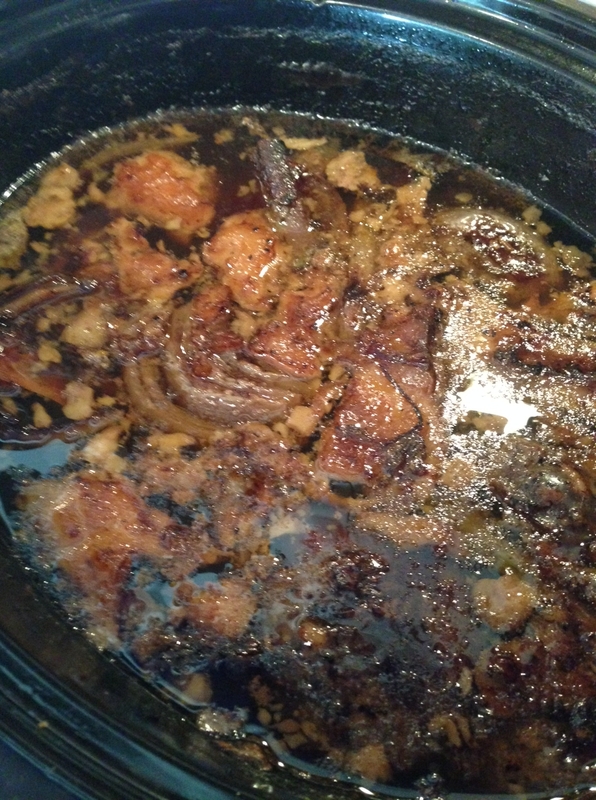 to an hour so the the liquid reduces to about half. Let stand and cool until it’s still warm but not super hot. Strain all liquid from the stuff you’ve boiled and collect in a bowl. You may now toss your berries and spices as they have given their lives for your health. Thanks guys. Slowly stir in the raw honey into the remaining liquid. Put into a cute bottle or recycled jar, store in fridge and there you go. Dosage: For cold and flu prevention: 1 tsp. for a child and 1 tbsp. for an adult, daily. If one (there I go again) gets a nasty bug, increase dosage to once every 2-3 hours. Tips: (some from Lisa who, being the test kitchen by default, clued me in after she made a few mistakes–thanks, Lis! )Raw honey comes in different forms. Make sure you get yours in a liquid form that pours easily. It’s important that the hot mixture not be so hot as to destroy the healthy properties of the raw honey. Also, when you add the honey as your last step, pour it in slowly while stirring so it doesn’t just drop in as a giant clump. Cloves are strong. Lisa’s first batch turned out really clovey, so I cut back but I think mine could use a bit more (I like cloves!) Will have to dial that in. If you’re wondering where in the world to get elderberries or why you should be consuming any of these ingredients at all, I seriously recommend checking out Kate’s Elderberry Syrup recipe where everything is explained in simple terms and in an organized fashion. Here’s to everyone’s good health this winter!